Laura Margolis was not a person to give up easily, especially when it meant the difference between people eating or starving. Her career as a Jewish-American social worker took her around the globe, being the first woman to be deployed overseas by the American Jewish Joint Distribution Committee (JDC) in Cuba. But her most significant contributions occurred in Shanghai, China, where she organized Jewish refugee relief operations in 1941-1943 during WW II. Her professional skills and personal traits brought order and immense improvement to Jewish refugee operations. For example, when she learned that she could greatly increase the production of meals for refugees if the kitchen stoves were converted from expensive coal to steam, she doggedly pursued the British agent whose company stored the unused steam boilers on a vacant lot. When he would not agree to their purchase or loan, she hired some Chinese workers, as she described in an interview, "we just hijacked the boilers. In the hustle-bustle of Shanghai no one even noticed." Shanghai has a long history as a port city of refuge. Jews fleeing persecution and seeking business opportunities had come to Shanghai since 1820, especially Jewish Sephardic families from Baghdad, Iraq and Russian immigrants who arrived in 1917 after the revolution. Just before and during the early years of WW II, came the largest wave of German, Austrian, and Polish Jews fleeing Nazi persecution. Shanghai was one of the few ports to accept them because until late 1939 it did not require any documents to gain entry. Even an entire Jewish school made the trip to Shanghai. Ms. Margolis describes in the Survey Graphic article this group's long journey from Poland to Japan to Shanghai,"
"Among the last people to arrive before war closed the door were 1,000 Poles who had crossed Siberia in 1940 to reach Japan. The Japanese moved them to Shanghai in October 1941. Among this group of Poles were about 500 rabbinical students and their teachers. Coming all the way from Poland, they reached Shanghai with not a single student, teacher or book lost. They set up their school in Shanghai and quietly continued with their studies." Shanghai was a metropolis of five million people of practically every nationality in the late 1930s. Part of it, the International Settlement, was divided into two areas that the British, French and American consuls had administered since 1854. The Jewish population consisted of Jewish Sephardic families, some of whom were prominent and wealthy, and a sizeable group of Russian Jews who had arrived in the early 20th century. It was a city of extremes -- high-end shopping, fine restaurants, a rich cultural and social life for many Westerners and rich Chinese and Japanese -- to squalid poverty for a majority of Chinese and many refugees. According to Heppner, corpses on the streets were a common sight. "Depending on the weather, 60 to 80 corpses were picked up from the streets daily." The nearly 20,000 refugees fleeing Europe during WW II faced an extreme contrast from their homelands and the passage on ships with plentiful food, to the filthy, noisy and overcrowded life in Shanghai. After leaving the ship, refugees were oriented in the Embankment Building, where they were housed and fed until they could find their own housing. Jews with more resources found housing outside of the poorest section, Hongkew. Jewish refugees who for financial or physical reasons were unable to find their own housing were transported to one of the five refugee camps. A few hundred people lived in one large room in these dormitory-type buildings. Strobin and Wacs described these large rooms, "with partitions made of sheets strung on ropes to separate families and the single men from the women. There was no privacy, no fresh air, and no place to store items. Sanitary conditions were deplorable." "The refugees are segregated in 40 square blocks of crumbling buildings. The narrow lanes are strewn with rubble and refuse. Most houses have no toilets nor kitchens for families who live crowded together in single rooms. Tenants are forced to use outside toilets, buy drinking water from street vendors, go to the few public baths, and cook in the lanes or on flat roofs using Japanese 'hibachi' stoves. Insects and rats are a common problem." Even though living conditions continued to worsen, especially when sections of Shanghai were bombed by Allied forces, several authors have marveled at how the Jewish community not only created but also supported theatres, newspapers, literary publications, orchestras and other cultural institutions they missed from their homelands. Ernest G. Heppner, Shanghai Refugee: A Memoir of the World War II Jewish Ghetto. Lincoln, Nebraska: University of Nebraska, 1993. p. 52. Rena Krasno, Strangers Always: A Jewish Family in Wartime Shanghai. Berkeley, CA: Pacific View Press, 1992. p. 4. Deborah Strobin and Ilie Wacs, An Uncommon Journey: From Vienna to Shanghai to America: A Brother and Sister Escape to Freedom During World War II. Fort Lee, NJ: Barricade Books, 2011. p. 44-45. Laura L. Margolis, "Race Against Time in Shanghai," Survey Graphic 33(3) March 1944. pp. 168-171 and 190-191. 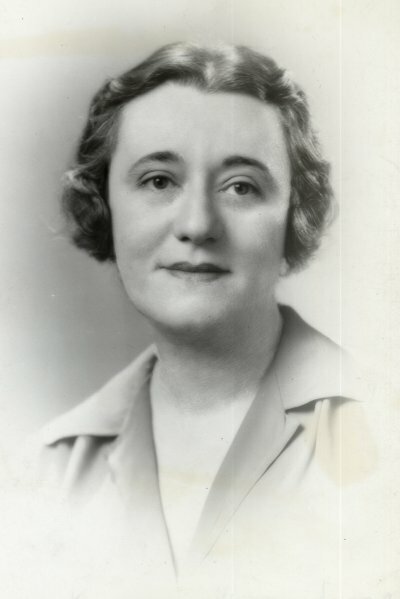 Laura L. Margolis. Oral interview, July 11, 1990, United States Holocuast Museum. RG number 50.030*0149. Ms. Lindauer is a retired research librarian and currently writes for children and adult magazines.